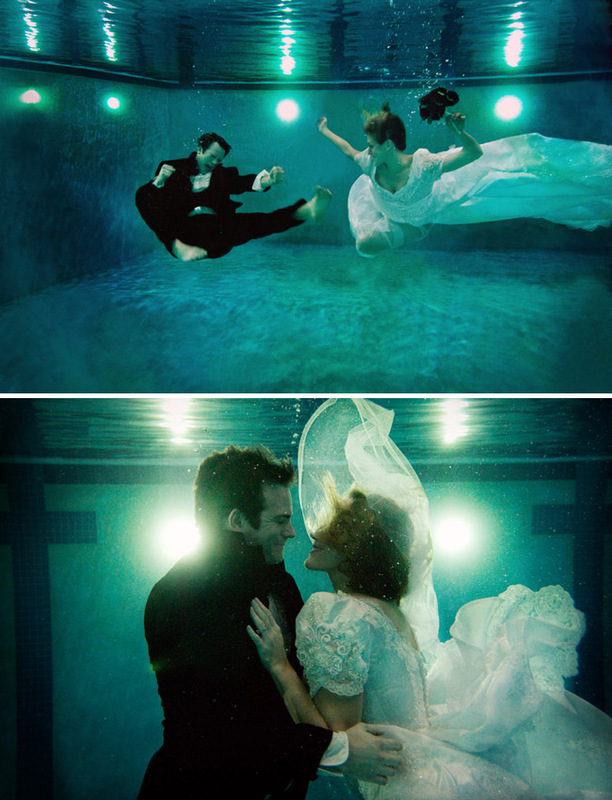 Underwater Engagement Photos + Save the Date! 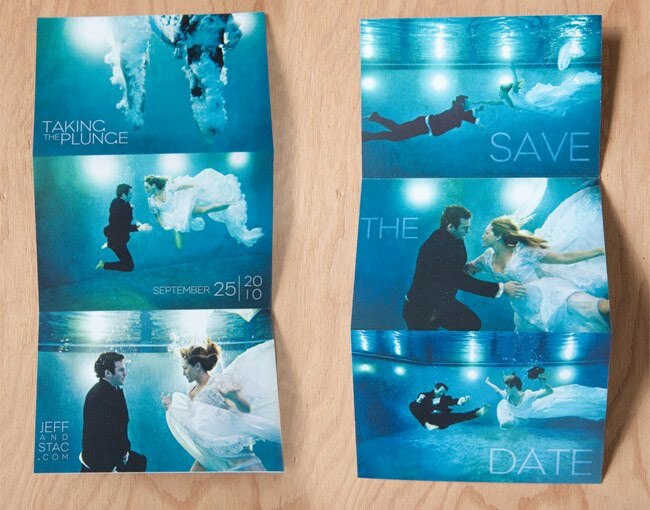 Kelty from Steep Street sent me the coolest Save the Dates she photographed. 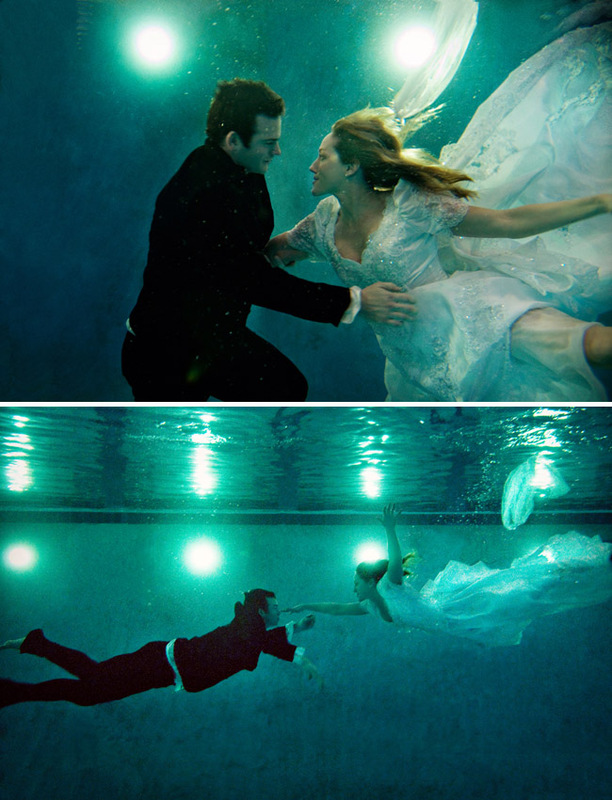 They feature an underwater engagement session! 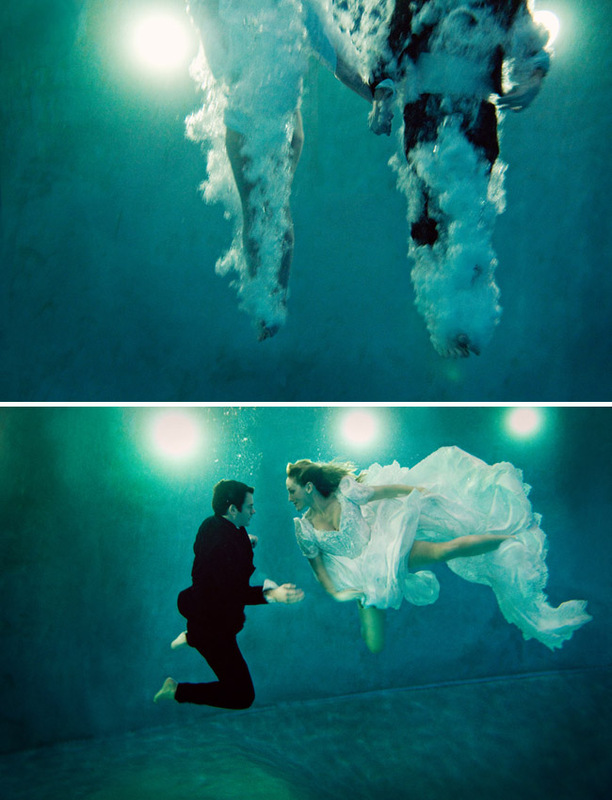 From Kelty, Jeff and Stacey are dear friends that I’ve known since childhood and (being the crazy iron man triathletes they are) they were game for an underwater engagement shoot, replete with wedding ensembles, underwater kisses, dancing, and diving. They’ve been all over the world together but had a distinct vision for their engagement shoot and save the date cards, choosing the pool their grew up swimming in. 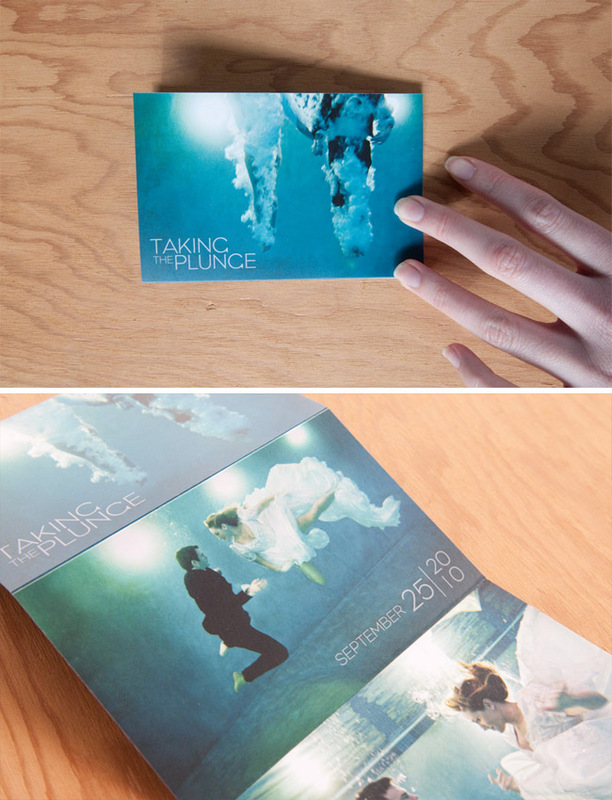 I then created an accordion Save the Date Invite using their engagement photos. Thanks Kelty! Steep Street is located in Portland, Oregon. You can see more of Kelty’s work on her blog. Love it, what an awesome idea. 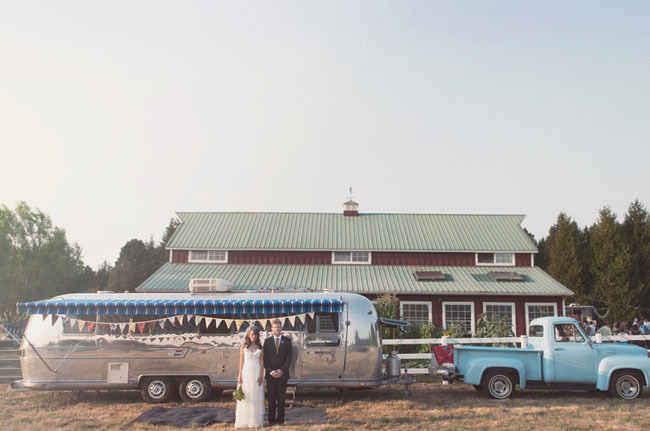 These are stunning…what a cool idea! wow, stunning! these guys are amazing!